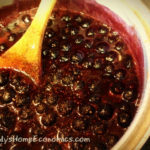 Home » Cooking ~ Recipes » barbecue or is it BBQ?, bbq sauces, blueberries, gluten free, honey, Mindless Mutterings from the Teacher's Lounge, Thanksgiving	» Blueberry BBQ Sauce …for that tired turkey! 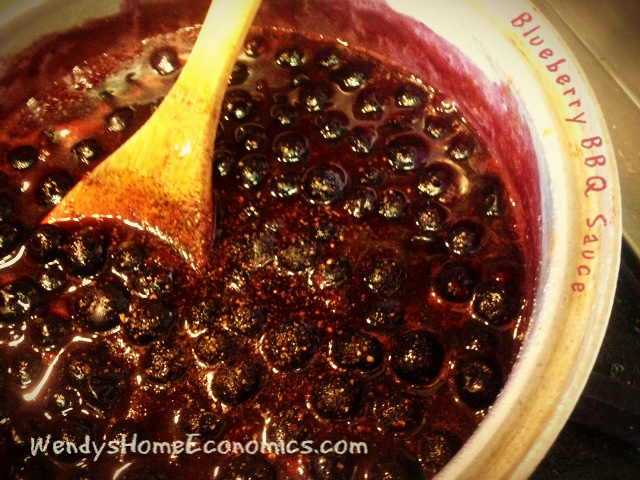 Blueberry BBQ Sauce …for that tired turkey! Serve this easy sauce over pork. And it’s especially tasty over leftover turkey and dressing! It surely is hard to believe it, but Thanksgiving is on our doorstep! There always seems to be some of that bird leftover… and many enjoy eating it with leftover dressing, as is, for days on end, while other are looking for ways to reinvent it. One of my social media clients is a blueberry farm, with all sorts of blueberry goodies (jams, salsa, juice, syrup) and honey too. 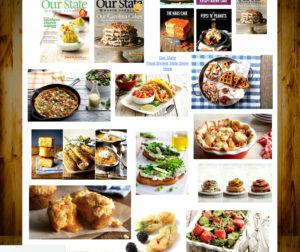 I’m sharing this recipe that is going out in Creekside Farm’s newsletter this week. You can use fresh or frozen berries, or even mix some blueberry jam with the BBQ sauce instead. 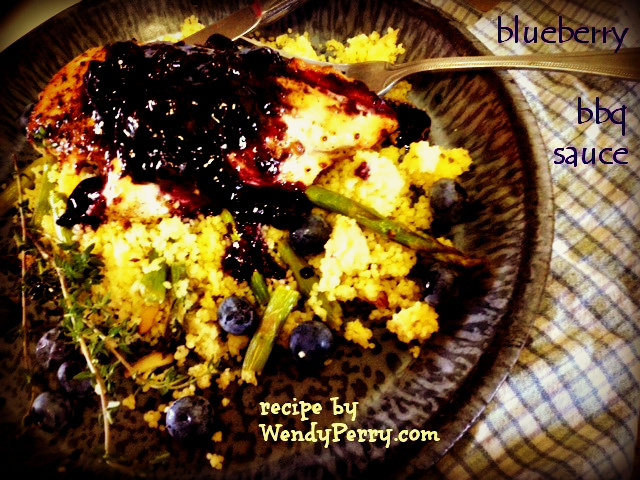 So as you prepare your grocery shopping list for the holiday, pick up some blueberries so you can stir together this sauce… really quickly! It’s soooooo good over turkey and pork too. Gobble! Gobble! Get your turkey ON. This is a sweet and savory sauce that is great on grilled chicken, pork or fish… or leftover turkey and dressing. 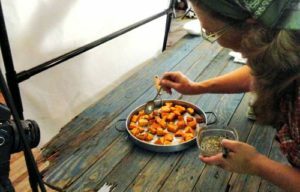 It’s simple and quick to make, and can be stored in a jar in the refrigerator for up to about 2 weeks. Put the berries, bbq sauce, vinegar and thyme into heavy bottomed sauce pot. Bring to boil, then reduce heat to slow boil, stirring frequently. Cook until the berries have popped and the sauce has cooked down and thickened. Whisk in honey. 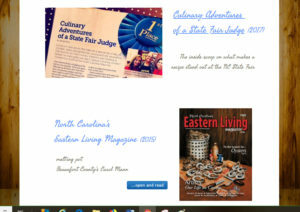 ..."two hot dogs and a drink"
WIN Tickets to Southern Women's Show!! 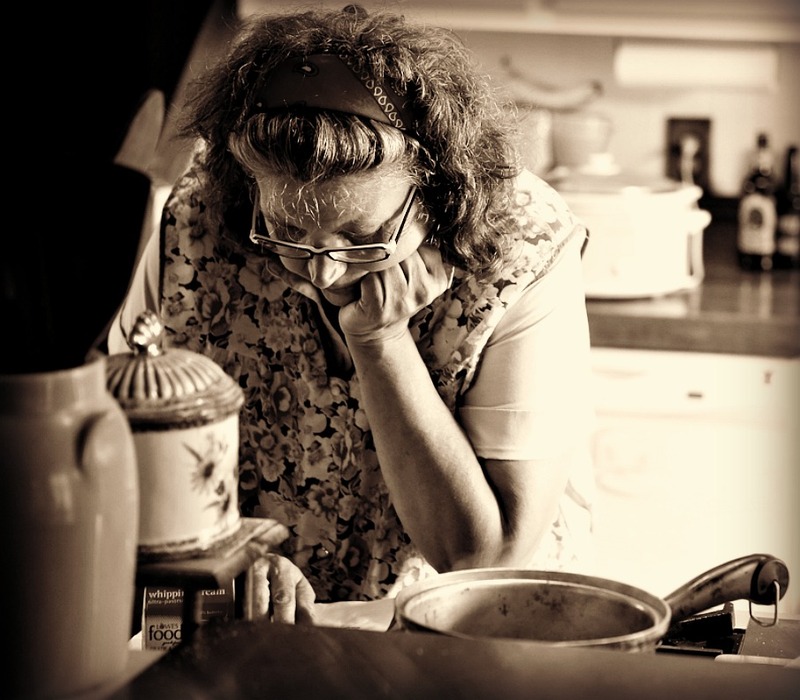 « Make Ahead Turkey Gravy… by Substitute Teacher Elise Feiner @ Foodfanataolics!